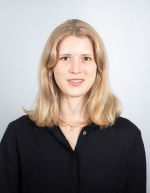 Melissa Newham is a PhD student at KU Leuven and the DIW Berlin Graduate Center. Her research interests relate primarily to empirical industrial organisation and competition policy. She completed her Bachelor in Economics, Politics and Philosophy at the University of Cape Town and her Masters in Economics specializing in Industrial Organisation, Regulation and Competition Policy at the University of Amsterdam. Prior to joining the Graduate Center, she worked as a trainee for the Chief Economist Team in the Directorate General for Competition at the European Commission. She has also worked in economic consulting for the firms E.CA Economics in Berlin and PricewaterhouseCoopers in Amsterdam.